New York City Economic Development Corporation (NYCEDC) today released a Request for Expressions of Interest (RFEI) that seeks to identify respondents interested in acquiring and operating property in or around the Garment Center that will provide dedicated space for fashion manufacturers. The building to be acquired will provide fashion manufacturers with real estate stability through affordable, long-term leases offered to tenants. In addition, the City of New York has committed up to $20 million in City funding towards a portion of the acquisition costs. “We thank EDC for taking this first step toward following through on the most critical component in the plan to protect the Garment District. Preserving this rare, thriving manufacturing enclave in place is vital to the economy and culture of New York. The entrepreneurs and skilled workers–mostly immigrants and mostly women–who have made New York the capital of the fashion industry deserve nothing less,” said Elizabeth Goldstein, President of the Municipal Art Society of New York. Garment District. Photo: Carol M. Highsmith Archive, Library of Congress, Prints and Photographs Division. Today’s announcement builds upon the NYCIDA Garment Center Program, a tax incentive package that can reduce property taxes for eligible property owners who offer long-term, affordable leases to fashion manufacturers. The NYCIDA Garment Center Program requires property owners to offer 15-year leases with a maximum gross rent of $35 per square foot. In exchange, the participating property owners will receive discretionary tax benefits from the NYCIDA that range from $1.00 – $4.00 per square foot of manufacturing space that ranges between 25,000 – 100,000 square feet. On September 18, the NYCIDA Board approved three buildings totaling 200,000 square feet of fashion manufacturing space into the Program. For more information, click here. An optional information session on the RFEI will be held on Thursday, October 25, 2018 at 9:00am EST at NYCEDC’s offices at 110 William St, New York, NY 10038. Those who wish to attend should RSVP by email to garmentcenteracqrfei@edc.nyc on or before Tuesday, October 23, 2018. The RFEI will be open from November 2, 2018 to November 1, 2019, and respondents may submit a response at any point. “We are encouraged that the City is taking a comprehensive approach to support fashion design and manufacturing and skilled jobs citywide. Securing at least 500,000 square feet in the Garment Center is essential to the fashion eco-system to adequately provide for existing concentration of creative industries and network of manufacturers across the New York City metropolitan area, as we concluded at the Garment Center Steering Committee. Acquisition of a building dedicated to garment manufacturing businesses is extremely vital to achieve this amount of square footage and as a strong safeguard for garment tenants long after the NYCIDA tax incentive program expires. We are optimistic that the right team will come together to make this ambitious plan a reality,” said Susan Chin, FAIA, Hon. ASLA, Executive Director, Design Trust for Public Space. “This is an important step towards ensuring long term stability for the fashion industry as well as advancing a process that will generate tax revenue to fund critical city services. We thank City Council Speaker Johnson, Manhattan Borough President Brewer, Deputy Mayor Glen, and NYC Economic Development Corporation President and CEO Patchett for their leadership and continued commitment to move this plan forward,” said John H. Banks, President, The Real Estate Board of New York. 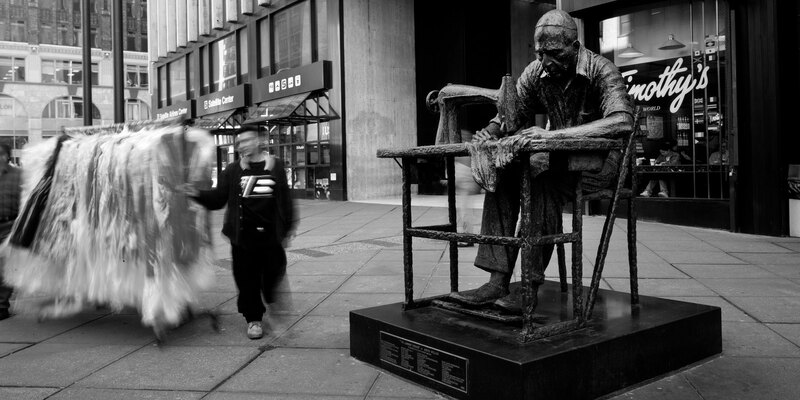 “Preserving the Garment Center in close proximity to the Theatre District is important to the members of Theatrical Wardrobe Union Local 764 IATSE, and our employers, who depend on the delicate synergy between these sister midtown areas. The plan for a dedicated building for the important businesses that service the costume and wardrobe crafts is an exciting development, and we eagerly look forward to a long future together in midtown,” said Patricia A. White, President, Theatrical Wardrobe Union Local 764, IATSE. “MCB4 has long supported the acquisition of a manufacturing building which will provide garment manufacturing companies with long-term, affordable rental spaces. MCB4 looks forward to working with the not for profit organization that is eventually selected and will continue to advocate for the City to commit to increasing its funding for the project as needed,” said Lowell Kern, First Vice Chair, MN Community Board 4. “The acquisition of a building in the Garment District exclusively for garment industry use is vital to preserving the industry in our district. We are excited and hopeful that the process for making this dream a reality has at last begun and we thank EDC and Speaker Johnson for making it happen,” said Vikki Barbero, Chair, MN Community Board 5.